Send a message via the "Help" form, and ask that Tokeet is designated as your channel manager. Please include your Agoda Hotel ID with your requests. Please make sure you have rental rates defined for your rentals first. You will need to push rates from Tokeet to Agoda as part of the connection process. 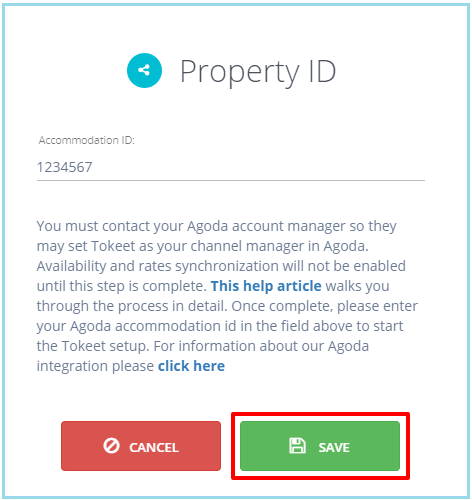 Now, add your Agoda connection in Tokeet. This process is illustrated below. 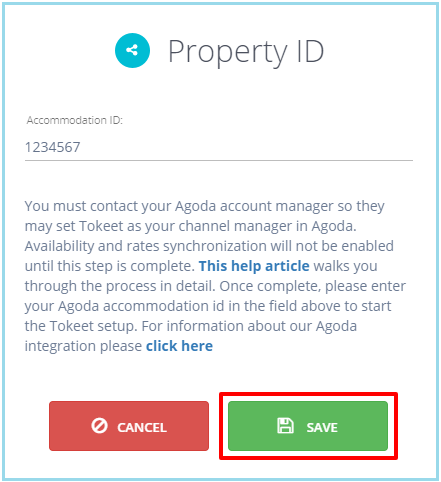 Select Agoda and click "Add"
Enter in your Agoda Property ID and click "Save"
Tokeet will proceed to import all rooms under this Property ID. Click into each one and complete the following steps. 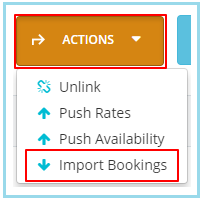 Link to a Tokeet Rental and click "Save"
From the orange Actions button, "Import Bookings." This will import events from your Agoda calendar into Tokeet. 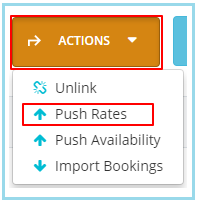 From the Actions button, "Push Rates". 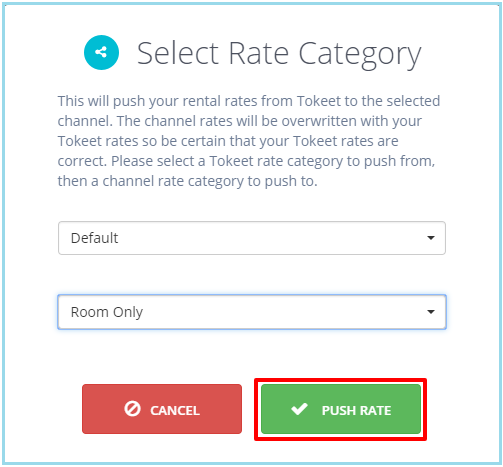 You will be asked to select a Tokeet Rate Category and a Channel Rate Category. 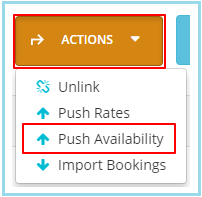 Note: changes in availability are instantly sent to your connected channels; however, rates need to be pushed by using the “push rate” option. The platform is designed this way so that you can send rates to the API channels only when you decide to push them. From the Actions button, "Push Availability." This will publish your updated Tokeet calendar to Agoda. That's it! Your Agoda connection is now active. Repeat this process for all of your Agoda connections. Note: If you are having trouble pushing availability, add a temporary Hold event to your Rental with status Confirmed. Once the connection is made, you can go back and delete the Hold event. Here's more info on Hold Events.